How to make a broom. 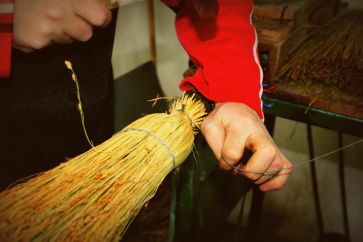 Broom making tradition more than 40 years. 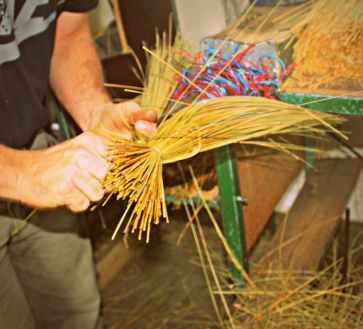 To make quality sorghum broom a good sorghum plant is needed. It has to be carefully picked. Good quality wooden shaft is also preferable. The quality of our shafts is guaranteed by the FSC certificate which our company has gained. 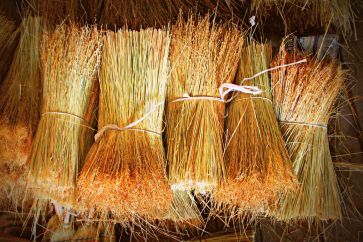 To make our brooms we use dried sorghum brush (inflorescence) and wooden handles fashioned from hard, high quality wood. 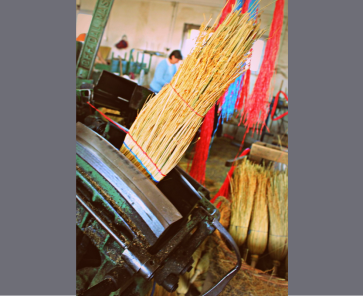 The length of the brush of over 60 cm and hay of high fineness are great resources for the broom industry. 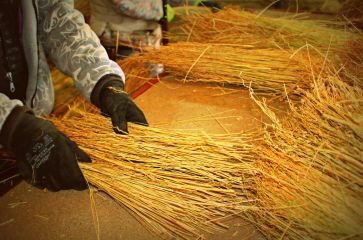 For final preparation of the plant and also for the manufacture of the sorghum broom human labor is still acquired. Cutting of sorghum in the fields is still done by hand. After the sorghum dries in the sun it shrinks. It is then tied in bundles and piled up in stacks. This is where the story begins. 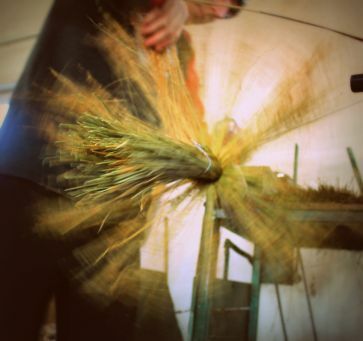 In the beginning of the production the dry sorghum plant brought from the fields needs to be sorted into several classes. Classes are determined by the length of the brush, their fineness and color. 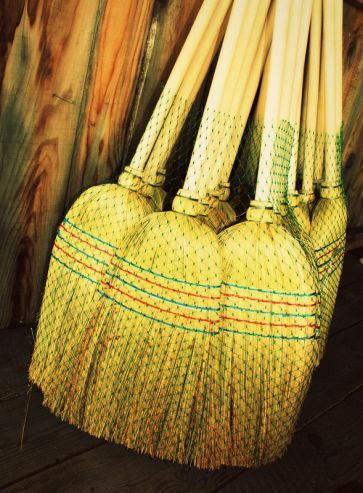 When we attain determined sorghum classes, we may begin the manufacture of the broom. This process is done manually in our factory. After the sorghum is sorted the broom coiling begins. This process is also done manually. Sorghum is reeled up onto the shaft which is fastened onto a machine that turns it. The wire tightens the sorghum and the shaft and is fixated by a nail. This process is also done by hand. After coiling comes sewing. 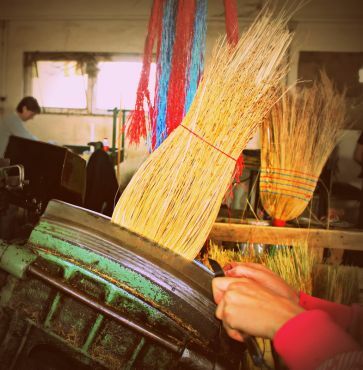 We use recyclable thread for sewing of our brooms. 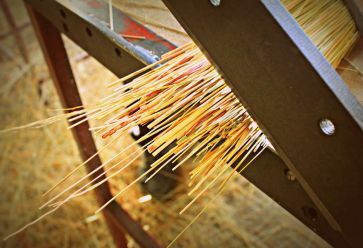 When the broom is sewn it is leveled at the top by a scissor knife. 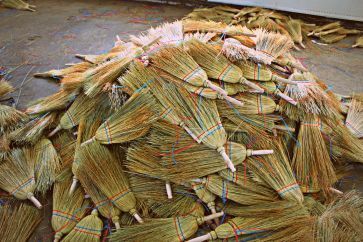 When the brooms are leveled final, packaging commences. 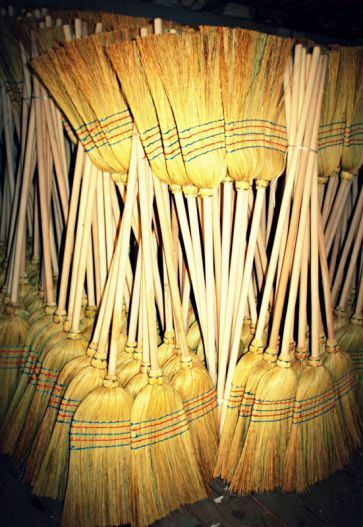 We usually put ten brooms in a bundle. This number varies on the demands of the customer. 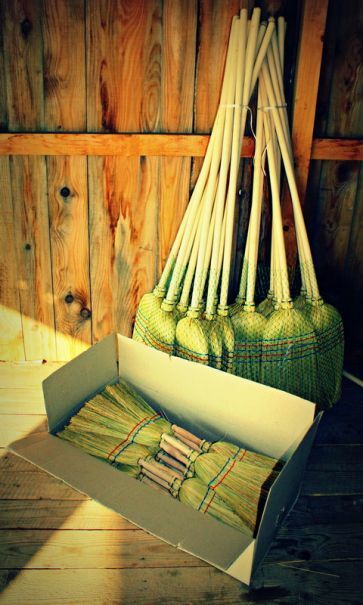 Some clients prefer different styles of packing that has more brooms in the bundle (nets, boxes and palette positioning is also negotiable).